The Tavern's Community is awesome, especially when they can bring wonders like this to my attention. 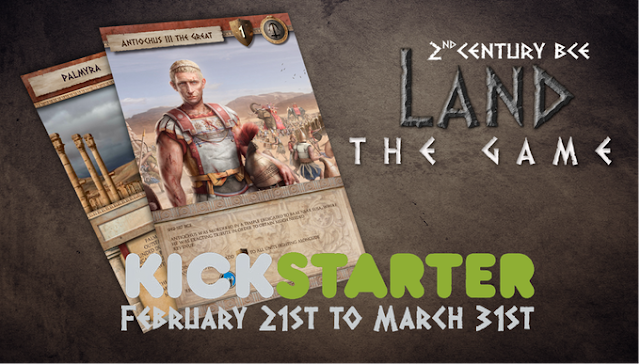 LAND, the game has a funding period of 24 hours. I've seen Kickstarters run as little as a week, but this is the first time I've seen one that will only last a day. Act fast, because when LAND is gone, it's gone - at least until it comes back. Maybe 24 days next time? Or is that 39? The graphic says one thing, but the countdown says another. Sadly, this shot in the foot isn't going to be helpful even with a relaunch. 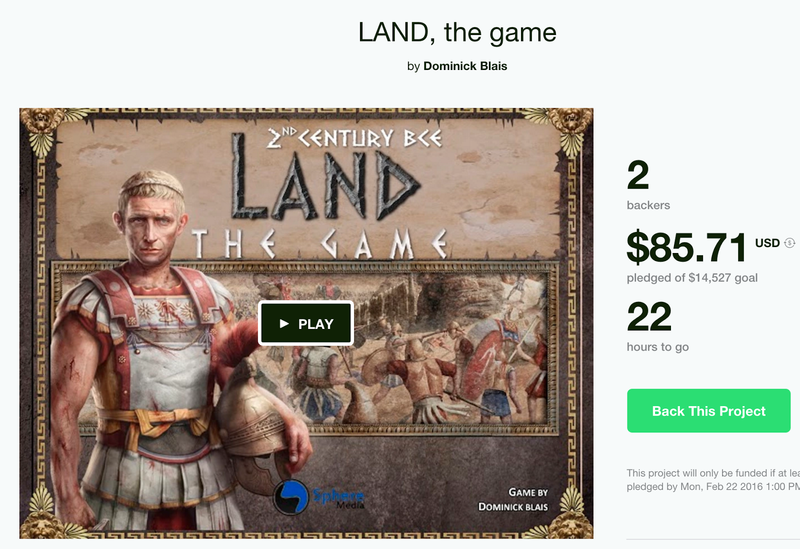 "Land" is a pretty lame title for a game anyway.